In our most recent Euro trip, we made a pit stop for a few days in Marrakech, Morocco to explore the city and learn a bit about the culture. 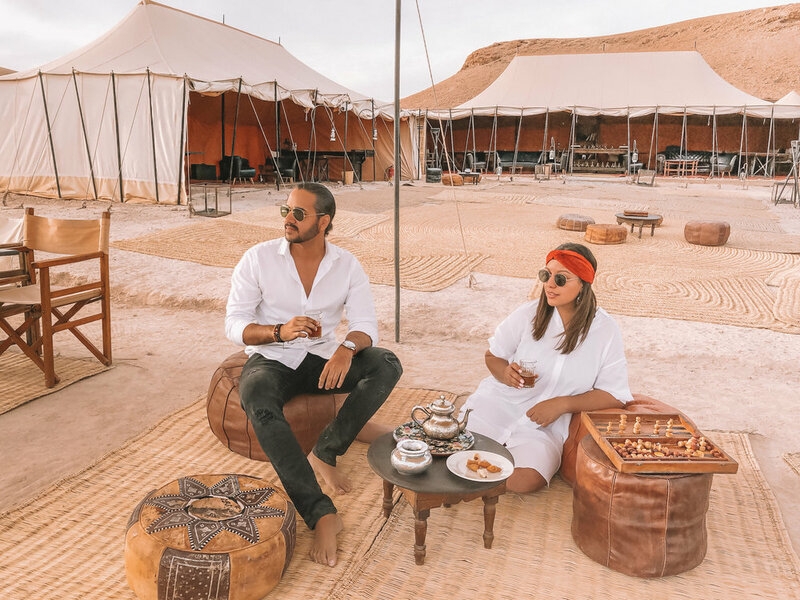 In this post, we'll focus on our glamping experience at Scarabeo Camp - a luxury tent camp on the outskirts of Marrakech. Special thanks to Scarabeo Camp for hosting us at their incredible place. Before you can get there, hop over to the Scarabeo Camp website to learn more about the entire place. After deciding, you need to send them an email requesting a visit to the camp, try to have all your info ready as far as number of people, dates you plan to visit, transfer from the airport or Marrakech and even meal accommodations could be booked all in advance. We highly recommend the transfer and meal booking for a hassle-free experience. There are several things you can do to keep yourself entertained while you are there. Of course, one can just relax and enjoy the peaceful tranquility the camp offers. If you seek a more active adventure, they have fun activities such as camel rides, 4x4 desert adventures and many other things to do... This goes without saying, but the entire camp has extraordinary beautiful scenery which is ideal for breathtaking photos, so have fun and explore the whole place. Tip: use some of the props you'll find throughout the camp to give your photos a unique visual treat. As far as food is a concern, the camp includes breakfast and dinner on the reservations. For lunch, you can request it while you are there, just be mindful that it'll be an additional charge for this. For breakfast, they offer a delicious typical Morrocan dish that consists of crepes, sweet spreads, and beverages such as fresh squeezed orange juice and milk. For dinner, the camp serves a 3-course meal; a traditional Morrocan soup, chicken with vegetables and a dessert. You can have wine (white, red or rose) if you choose to for an extra cost. All in all, the meals are delicious and we highly recommend the tea they have and yes, its free of charge. 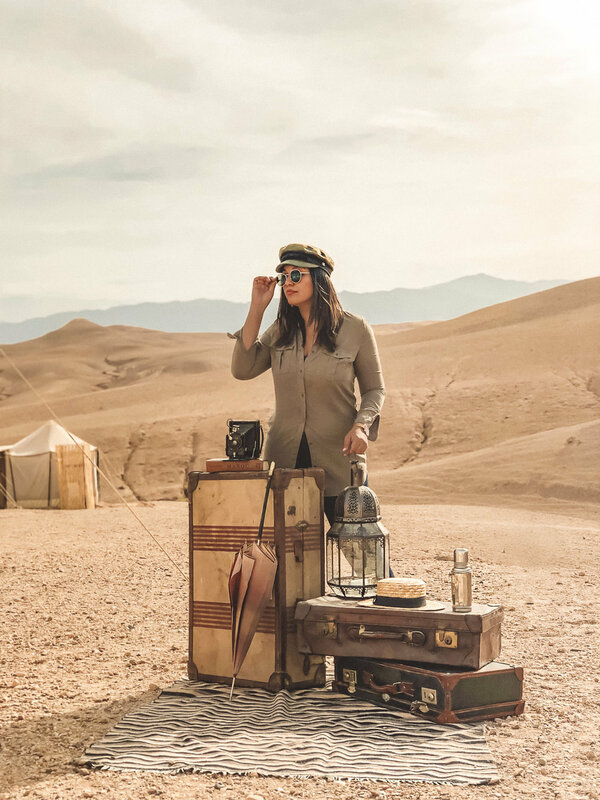 On a final note, the glamping experience at Scarabeo Camp was a truly a unique experience that we highly recommend to anyone looking to have a fun adventure at a luxury tent camp in Marrakech. We hope you learn a few things from this post and equally important that it sparked a need to travel.